Microsoft has produced the de facto Directory Services tool with its Active Directory (AD) software ever since it nudged past Novell Directory Services (NDS) over ten years ago. Microsoft has dominated the market ever since with probably the stickiest piece of infrastructure in any large enterprise today. Whether you like Microsoft’s solution or not, it has become central to most business’s application soup. It’s a key dependency for many applications, relying on it for things like Identification (user management), Authorization (Role Based Access Control [RBAC]), Authentication (password management); along with a raft of other AD integrated features. SaaS is probably the only application trend that is actively pushing in the opposite direction. Add to this the key role that AD plays in managing Windows clients and servers, and we realize that AD is very, very sticky. In a vSphere environment, an AD domain (or even Windows itself) isn’t strictly a requirement. ESXi doesn’t need it and vCenter can run without it. VMware produces its vCenter Server Appliance (VCSA) which is a Linux-based server, and the Web Client can be run in non-Windows client browsers. As vCenter evolves, it increases the integration with its own Single Sign On (SSO) component. VMware’s SSO does “identity management” and “federates authentication services”, which sounds a lot like the basis for a Directory Services model, but in its current incarnations it doesn’t service requests like a real LDAP store and VMware has said they have no interests in creating an AD competitor. There are VMware components that require AD, e.g. View Connection servers (and things like vSphere Update Manager that needs Windows). And if you’re building a vSphere lab the chances are that you’re also interested in testing other pieces of software that also need/want AD services. We don’t live in VMware bubble. So why try to replace the Microsoft Domain Controller in your lab? So if Microsoft’s AD is so prevalent and effectively necessary, why don’t we accept the fact that we need at least one Microsoft Windows server in our labs to run as a Domain Controller? Microsoft is big and evil and must be banished? No, I don’t believe this, but I do believe that diversity in any ecosystem is a good thing. Competition is healthy, drives innovation, and helps prevent unhealthy market practices. Cost. Windows server licenses aren’t cheap and can have a sizeable impact on the cost of standing up a lab environment. Microsoft’s TechNet subscription service, used by many IT professionals in their labs, is ending soon. Microsoft (and VMware) are keen for individuals to uses their online lab services as an alternative, but there is a lot to be said for getting your hands dirty and standing up your own lab. Windows based. Conspiracy theories aside, a lot of folks prefer non-windows based server tools. And this extends to their lab environments. Windows 2012 is less familiar to many folk, and does need a certain amount of hardware resources to do its thing. Resources. A lab is often hardware constrained, particularly in the memory department . A small, tuned Linux appliance can arguably run on a lighter footprint (Windows domain controllers can run in fairly minimal setups, but this requires more Windows setup and management foo than many of us want to get into in a vSphere-focused lab). 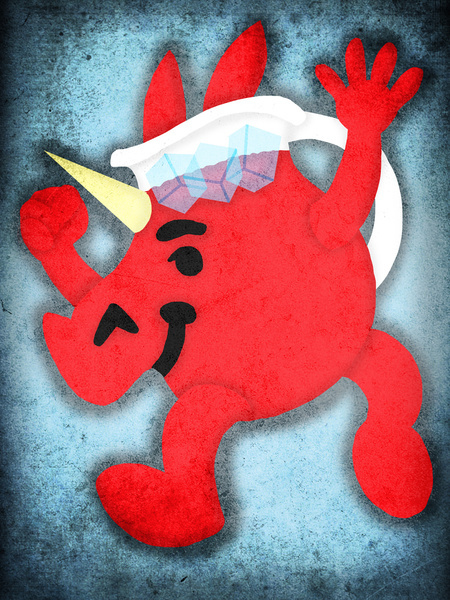 It’s kool – even the Unicorn Kool-Aid guy thinks so. I’m sure there are plenty of other good reasons why you want to try this in your lab. Tell us your story in the comments below. There are a few software options to build a Linux-based Domain Controller, mostly based on the work being done in the Samba 4 project. I’m going to use a tool called Zentyal, which is a slick, free to download application suite that runs on Ubuntu Linux and can impersonate a Windows Domain Controller by implementing SMB, managing the domain and setting up Kerberos for authentication services. One of the great things about using Zentyal as a Domain Controller is how simple it was to set up. The last time I rebuilt my lab’s Windows Domain Controller from scratch I followed this great post series. Setting up Zentyal was even easier and more intuitive. When we’re done we’ll have an Active Directory server which is fully compatible with vCenter 5.5 SSO’s “Active Directory Integrated Windows Authentication” configuration, can used by your lab’s Windows clients/servers, and your ESXi hosts or vSphere Management Assistant (vMA) if you join them to the domain. None of which seems like a deal beaker for my small lab! Part 2 of this series explains how to deploy a Zentyal instance into your lab. Interesting article. Do you know if this provides certificate services as well? Great, I was just planning to do exactly this in my lab. You have saved me the search for the best option, thanx ! by the way: can we run our GroupWise along with the server ? I haven’t tested compatibility with Novell Groupwise, but I suppose it should work as it won’t know any differently. You might want to reach out to the Zenytal team to see if anyone has any experiences running this config. Alternatively you could use Zentyal’s emulation of MS Exchange. Very interesting, thank you! But, very hard to read for me. Gray text on a white background, bad contrast. I have to disable the style in the browser settings. I loose the page format, but i get black text on white background and can read without headache. Hi Wobbel02, I’m glad you found the article interesting. Sorry you had a problem with the site’s readability. It’s the first time anyone has said this, so I take it on-board. I regularly reevaluate the styling so I’ll keep this in mind the next time I do a refresh. Thanks for letting me know. i have installed zentyal 4.2 development edition .in Linux and i have configured domain controller . now i am able to join windows user in domain . but i want to know how can i set a policy for user. i need help for how to create a policy in zyental for domain users. Just google for Windows x RSAT with the version of windows you’re using.